Eight Provincial Departments of the Department of Agriculture, Forestry and Fisheries briefed the Portfolio Committee on Agriculture, Forestry and Fisheries on progress for the planting season of 2018/19 financial year and Fetsa-Tlala targets set for the 2017/18 period. The provincial departments took the Committee through their programmes on the commercialisation of black farmers; recruitment of veterinarians and extension officers; management of animal diseases; mechanisation programme; impact of the drought resistant seed; and progress on the rehabilitation of agricultural land. The Limpopo Department of Agriculture and Rural Development reported that for the 2017/18 planting season the province had a target of 13 006 ha. As at the end of February 2018 it is approximated that 10 745 hectares have been planted. The validation of hectares is still in progress and would be concluded before the end of April 2018. 13 654 hectares are targeted for the 2018/19 financial year. Hectares would include vegetables, grains and fruits. The North West Department of Rural, Environment and Agricultural Development reported it has a 3-year plan in place for the commercialisation of Black farmers. R21m has been allocated across the four districts. 5 farmers who are practising mixed farming in the Dr Kenneth-Kaunda district have been allocated R5m. 6 farmers who are on broiler production in Dr Kenneth-Kaunda and Bojanala districts were allocated R600 000. 21 farmers who are on beef production were allocated R2, 7m. 1 farmer on pig production received a budget allocation of R200 000. 14 farmers on grain production in two districts got allocated R11, 9m. 2 farmers on vegetable production and one farmer on Moringa Processing received a combined budget allocation of R516 000. Types of interventions include production inputs; SAGAP Certification; training; and infrastructure and machinery. The Northern Cape Department of Agriculture, Land Reform and Rural Development stated it is one of two provinces unaffected by the avian influenza (HPAI) H5N8. The province has at least 26 ostrich compartments and about 10 commercial poultry establishments which have strict biosecurity measures in place. Early warning measures were put in place by conducting awareness campaigns, intensifying biosecurity measures, and partaking in the AI national surveillance scheme. 4 014 animals were vaccinated against anthrax in Kimberly and Mothibistad. 20 rabies cases have been recorded since 2016 with no human fatalities. The rabies awareness campaign was extended to schools, farmers, and clinics. The Eastern Cape Department of Agriculture and Rural Development informed the Committee that during the period under review, a total of 26 bulls and 118 heifers were distributed to 12 communal areas to improve genetic material. The province produced 14, 18 million kg of wool of which 3, 58 million comes from the communal sector. Currently, communal farmers generate R130m annually from wool sales and the Department of Rural Development and Agrarian Reform has supported farmers with shearing sheds and training which is supported by the National Wool Growers Association. The Free State Department of Agriculture and Rural Development enlightened the Committee that it continues to strengthen disease surveillance, disease prevention and disease control programmes and interventions. In the last two financial years, Free State Department of Agriculture and Rural Development’s veterinary services directorate successfully contained two major disease outbreaks of African Swine Fever and avian influenza. Two additional animal health officials were successfully recruited to fill the vacant animal health technician posts and two assistant directors for administrative control were appointed to vacant posts. The Kwazulu-Natal Department of Agriculture and Rural Development stated it has 235 vacancies in its extension services programme. It is developing a multi-disciplinary training curriculum for extension practitioners to ensure continuous professional development through systematic maintenance, improvement and broadening of knowledge and skills, and development of personal qualities of extension practitioners. The Department is designing and implementing respective provincial strategies for extension and advisory services. There are 8 vacant positions in the veterinary service and 11 veterinarians in the Compulsory Community Service programme. The Western Cape Department of Agriculture pointed out that innovation is the basic ingredient to ensure service delivery. Even immediate challenges such as the drought have a silver lining. Restrictions on the availability of irrigation water have forced farmers to introduce water-saving technologies. Another strategy followed by farmers was to move their replacement strategy forward by a number of years (replacing old or less profitable vineyards/orchards) in order to have water available to carry their more profitable crops through the drought. The result would be that the Western Cape’s crop would eventually be much more water-efficient and responsive to market demand (those cultivars with the least market demand would be less profitable and the first to be replaced). The Gauteng Department of Agriculture and Rural Development said it has developed a Draft Commercialisation Strategy for black farmers in consultation with key stakeholder in the province. The strategy focuses on the following commodities: livestock; horticulture; grains; and aquaculture. The Draft Strategy would be published for comment after which it would be submitted to the Executive Committee for adoption. It must be noted that to date the financing model for commercialisation has not been finalised. The Department is participating in a process with the Department of Agriculture Forestry and Fisheries on the investigation and evaluation of a blended financial model which encompasses the provision of a comprehensive financing package that involves a mix of a grant and loan, with the objective of stretching the finance to ensure that it covers all aspects of farm operations required at a commercialisation scale per commodity. Featured on the agenda also was Stats SA, which spoke about food insecurity and agricultural activities in the country. Stats SA informed the Committee that since 1994 SA has conducted Censuses of Commercial Agriculture for 2002 and 2007. The funds for the 2002 Census of Commercial Agriculture were provided by the Department of Agriculture Forestry and Fisheries. In 2007, the census was funded jointly by Stats SA and the Department. Stats SA conducted both the 2002 and 2007 Censuses of Commercial Agriculture using the tax registers of SARS. The 2012 Census of Commercial Agriculture was not funded and it did not take place. Members remarked that the presentations did not give indications about the socio-economic impact of government expenditure; wanted to know if the Free State Department of Agriculture and Rural Development has done a survey on patients that have been hospitalised to see that when they come back they have a decreased nutrition deficiency seeing that the Department is a “Bread Basket” and that food security is about nutrition; wanted to know from Gauteng Department of Agriculture and Rural Development how it would go about establishing a community garden in a typical township and area like Hillbrow; wanted to establish what the Eastern Cape Department of Agriculture and Rural Development is doing to ensure beneficiaries reap rewards from the partnerships, because most of the time the benefits go to the partners like Wiphold and commended the Department for opting for partnerships instead of consultants; wanted to find out from the Northern Cape Department of Agriculture, Rural Development and Land Reform what is being done to the communities of Alexander Bay and Richtersveld because there has been no mention on aquaculture and mechanisation programme; wanted to establish if the Western Cape Department of Agriculture has ever thought of space shack dwellers could use for food production within the spaces they occupy seeing that the Department is talking of innovation; and asked the KZN Department of Agriculture and Rural Development to comment on the challenges about an implementing agent in the Makhathini area and of the Jozini Dam issue where Black farmers could not access water, except White farmers. Members asked Stats SA why farming units have decreased from 45 000 t0 39 000 and wanted to know if these farms have been incorporated into other farms; wanted to establish if people who are involved in cooperatives are part of the household surveys because 90% of the cooperatives are in agriculture and a lot of money is spent on cooperatives; asked what the farm ownership pattern is in terms of race and who produces more food between Blacks and Whites; asked why the Census of Commercial Agriculture has decreased to a 5-year interval whereas in the past it was conducted yearly; remarked that the information presented to the Committee is outdated and is not assisting Parliament in terms of what is happening in agriculture today because the last Census of Commercial Agriculture was conducted in 2002 and 2007; and wanted to know what the status is regarding the 2017 discussion that Stats SA held with the Department on conducting a census. Mr Itani Magwaba, Chief Director: Stats SA, informed the Committee that since 1994 SA has conducted Censuses of Commercial Agriculture for 2002 and 2007. The funds for the 2002 Census of Commercial Agriculture were provided by DAFF. In 2007, the census was funded jointly by Stats SA and DAFF. Stats SA conducted both the 2002 and 2007 Census of Commercial Agriculture using the tax registers of SARS. The 2012 Census of Commercial Agriculture was not funded and it did not take place. Stats SA has been in negotiations with DAFF to conduct a Census of Commercial Agriculture since 2017. In an effort to better understand smallholder and subsistence farming, Stats SA included modules on agricultural activities of households in both the Census 2011 and Community Survey 2016.When comparing the Censuses of Commercial Agriculture of 2002 and 2007 respectively, farming units decreased from 45 000 to 39 000, employment decreased from 940 000 to 770 000, capital expenditure decreased from R2.9 billion to R2.85 billion, and gross farming income increased from R53.3 billion to R79.6 billion. The provincial statistics of the 2007 Census of Commercial Agriculture indicate that the Frees State has the largest share of commercial farmers, followed by the Western Cape. At the tail is Gauteng. The number of agricultural households in the country decreased by 19.1% from 2.9 million in the Census of 2011 to 2.3 million in the Community Survey of 2016. The KZN and Eastern Cape provinces contributed the most to the decrease. The Community Survey of 2016 indicated that KZN and Eastern Cape have the highest proportion of households involved in agriculture. Black Africans, followed by Whites, have the highest proportion of households involved in agriculture. The Eastern Cape, KZN, and Limpopo have more females involved in agriculture. 55% of households involved in agriculture use pit latrines. Black Africans involved in backyard farming or subsistence farming make up 86%. Most households are involved in poultry farming, followed by livestock. The Eastern Cape is dominating in terms of sheep, goat and cattle farming. Black Africans are leading when it comes to livestock production when compared with other groups. It could be that they are the majority in terms of population. Around 19.9% of households in the country reported they had run out of money to buy food in the past 12 months, according to the Community Survey of 2016. In general, there are more male-headed households than female-headed households that had skipped a meal in the past twelve months. Mr Magwaba concluded by saying there is a need for a regular comprehensive survey on food security. Over the years, there has been a small decrease in the number of individuals affected by food insecurity at household level. There is no comprehensive farmer register which could be used to support farmers and act as a sampling frame to conduct agricultural surveys and censuses. And most households are involved in agriculture to counter food insecurity. Ms Jacqueline Maisela, HOD: Limpopo Department of Agriculture and Rural Development, informed the Committee their focus is on food crops such as maize, sorghum, beans, vegetables and fruits. They are targeting communal land under Traditional Authorities and land reform projects. For the 2017/18 planting season the province had a target of 13 006 ha. As at the end of February 2018, it is approximated that 10 745 hectares have been planted. The validation of hectares is still in progress and would be concluded before the end of April 2018. 13 654 hectares are targeted for the 2018/19 financial year. Hectares would include vegetables, grains and fruits. Regarding distribution plans for seeds and seedlings, production inputs are procured at district level. Local agricultural offices in municipalities are supplied with seeds and seedlings to be distributed to the service centres. Service centres would distribute through local traditional offices and local farmers' structures. Distribution would take place two months before the start of planting. The department reported that 15.8 tons of Water Efficient Maize for Africa (WEMA) maize cultivar was purchased and distributed to the farmers, particularly in the Mopani district. On commercialisation of black farmers, the department has identified 50 farm entities owned by 79 farmers. Most of the farming entities are family units with more than 1 family members or beneficiaries. The department has conducted farm assessments covering 30 farming enterprises. The farm enterprises are being supported in areas such as record keeping, farm management improvement and expansion of primary production through infrastructure development. R14m would be set aside for 2018/19 to compliment the R10m already linked to entities where development is progressing. Progress is recorded on the recruitment of veterinarians. The number of veterinarians in the department is 34. All vacancies for field veterinarians are filled and 3 management posts still need to be filled. 4 veterinarians sponsored by the department have qualified from the University of Nairobi in Kenya. 2 veterinarians have qualified from the University of Pretoria. They are fully registered under the SA Veterinary Council. 5 veterinary doctors are currently on community service. The vacancy rate for extension officers is standing at 5.88%. During the 2017/18 financial year, the department recruited only 8. The department is engaging with Provincial Treasury on the filling of 21 posts in 2018/19.Vaccination for controlled animal diseases is provided by government free to communal farmers. At the end of Quarter 3, the department managed to conduct Foot and Mouth Disease (FMD) vaccination sessions on 266 out of an annual target of 148, and the number of dipping sessions on communal cattle totalled 4 632 out of an annual target of 4 450. The number of inspections on abattoirs and processing facilities visited for compliance are 438 out of an annual target of 512.The department has up to the 3rd Quarter of 2017/18 rehabilitated 10 000 ha out of a target of 14 000 ha. The number of hectares cleared of alien invasive plants and weeds are 1461.9 ha out of an annual target of 2200 ha. This is undertaken through the LandCare Programme with specific interventions such as soil conservation and climate smart agriculture. The department plans to place 120 unemployed graduates in the field of agriculture from May 2018 with commercial farmers. An assessment has been done on the 25 identified farms to determine the capacity to host. Incidents of FAW (Fall army worm) were reported during the maize growing season. About R9m has been reprioritised for procurement of pesticides for all detected exotic pests in the province. 22 500 litres of insecticides have been procured for FAW and distributed to farmers to respond to infestation. Mr V Mothibi, HOD: Northern Cape DALRRD, reported his department has made progress on the commercialisation of black farmers. 50 Black commercial farmers were supported from 5 districts. They were supported with commodity groups such as grain, livestock (beef, goat and sheep), poultry, and vegetables. This was done at a cost of R1 900 000.Regarding animal disease control and veterinary services, the province has experienced 3 ASF outbreaks in the areas of Pniel, Alfa and Gong-Gong. The 3 outbreaks were related except 1, and all the outbreaks were closed as of 10 November 2017. Total losses are estimated to be around R132 500. The province is one of two provinces unaffected by the avian influenza (HPAI) H5N8. The province has at least 26 ostrich compartments and about 10 commercial poultry establishments which have strict biosecurity measures in place. Early warning measures were put in place by conducting awareness campaigns, intensifying biosecurity measures, and partaking in the AI national surveillance scheme. 4 014 animals were vaccinated against anthrax in Kimberly and Mothibistad. 20 rabies cases have been recorded since 2016 with no human fatalities. The rabies awareness campaign was extended to schools, farmers, and clinics. The veterinary border inspections took place from 31 October 2016 until 3 November 2016 after receiving 3 complaints. The veterinary services participate in the Cross-Border Committee. The department provides affordable veterinary service to disadvantaged communities. 7 compulsory community service (CCS) veterinarians joined the province in 2018 to service Kuruman, Kimberly, Prieska, Upington and De Aar. DAFF donated 5 LDVs, specialised vet equipment, laptops, 1 mobile truck, and 5 prefab clinics, and 3 prefab homes. Since the inception of the CCS programme, the number of mobile clinic visits has increased from 7 to 24 per year. The department has generated plus minus R500 000 in revenue from clinical services. 12 successful spay campaigns were held throughout the province since the start of 2018.The veterinary lab is SA National Accreditation System (SANAS) accredited and conducts at least 30 00 tests annually. The average is 1200 samples per month but the number has increased to 4500 after the SANAS accreditation. The lab is the first one to be accredited for sheep scab identification in the country. On the rehabilitation of agricultural land, the main focus is on grazing land rehabilitation by combating invader species. 6 000 hectares are targeted to be rehabilitated during the 2018/19 financial year. The rehabilitation of grazing land is undertaken through the Land Care Programme and Expanded Public Works Programme (EPWP) incentive grants. There is a veld enhancement programme and construction of erosion works programme. This land rehabilitation programme provides jobs to 120 people. 40 people get employed per financial year. 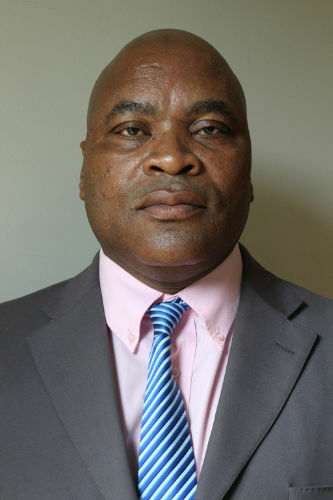 Mr Mothibi reported there is progress on the rehabilitation of irrigation land because a sub-surface drainage and main drainage lines have been installed. There is a concrete lining of old leaking storage dams. Dr Poncho Mokaila, HOD: North West READ, reported there is a 3-year plan in place for the commercialisation of Black farmers. R21m has been allocated across the four districts. 5 farmers who are practising mixed farming in the Dr Kenneth-Kaunda district have been allocated R5m. 6 farmers who are on broiler production in Dr Kenneth-Kaunda and Bojanala districts were allocated R600 000. 21 farmers who are on beef production were allocated R2, 7m. 1 farmer on pig production got a budget allocation of R200 000. 14 farmers on grain production in two districts got allocated R11, 9m. 2 farmers on vegetable production and one farmer on Moringa Processing got a combined budget allocation of R516 000. Types of interventions include production inputs; SAGAP Certification; training; and infrastructure and machinery. Concerning the recruitment of extension officers, the department reported its vacancy rate is at 20%. There are 236 posts and 188 posts have been filled. The department has appointed 18 agricultural advisors. 22 unemployed graduates have been afforded a two months internship contract which would be extended during the course of 2018/19. They would be mentored in livestock, poultry crop, piggery, beef, and mixed farming. The veterinary services have a vacancy rate of 21% and 79% of posts have been filled. Vacant posts for the CCS programme are 12.14 292 veterinary visits have been achieved against a planned annual target of 12 230 visits. 827 clients were visited for export against planned annual target of 640 clients. 143 033 tests were achieved against a planned annual target of 140 000 tests. The average percentage of performance on veterinary public health achieved to date exceeds the annual planned target of 60%. Two cases of avian influenza outbreaks have been reported in North West at Leeuwdoringstad Farm and Rustenburg. Quarantine has been lifted, except in Rustenburg, though the residential area is still being monitored through sampling. No new cases or deaths have been experienced. Outbreaks of rabies were encountered at various municipalities and this involved wild animals, pets, and livestock. Response measures were followed. Sporadic outbreaks of African Horse Sickness between March and June 2017 occurred in the Bojanala district. A number of animals died and those that survived were vaccinated. 125 811 vaccinations were carried out for controlled diseases, and a survey of controlled diseases was done for a total of 186 419 animals. Dr Mokaila informed the Committee that the contract between North West Department of Rural, Environment and Agricultural Development (READ) and AgriDelight lapsed on 31 October 2017. The contract was not renewed or extended. READ currently engages contractors on departmental database directly without making use of an implementing agent. Mr Mlibo Qoboshiyane, MEC: Eastern Cape DRDAR, briefed the Committee on the progress in the implementation of Fetsa-Tlala targets in respect of the 2017/18 planting season, planting plans for the 2018/19 financial year, the impact of the drought resistant seeds in the province, progress on the commercialisation programme, and progress on the recruitment of veterinarians and extension officers. For the maize production, out of an annual target of 47 800 ha for 2017/18, the department planted 46 096 ha. This was achieved through partnership with Grain SA, GFADA and Wiphold. The main focus of the strategy is for the commercialisation of the Black smallholder producers. On agro-processing initiatives, 4 RED Hubs in Mqanduli, Mbizana, Ncora, and Lady Frere areas are operational and generating an income of R8.2m. These hubs have created a total of 197 permanent jobs and 697 seasonal jobs. A total of 4000 ha of forest trees were planted and this created 386 permanent jobs and 137 seasonal jobs.36 smallholder producers were targeted for support on citrus production. 30 were provided with financial support for expansion, maintenance and purchase of production inputs. 10 were supported to establish additional 5 hectares each. 6 smallholder producers received training and marketing advice only. 17 smallholder producers were targeted for support on deciduous production. 13 producers at Gubenxa were supported for soil assessments and 4 were supported for expansion of 7 hectares. A total of 10 farms on chicory production are covering 128 hectares and benefitting 98 households were supported. This was achieved in partnership with Chicory SA and Nestle. The macadamia nut production has increased plantation to 180 ha and this has realised a total yield of 229 tons of nuts at Ncera and created 180 jobs. 200 ha of new macadamia orchard has been established at Amajingqi and created 150 jobs. A total of 24 000 households were targeted to address food insecurity and by 31 December 2017 14 997 households were supported with agricultural input. For the 2018/19 financial year, the department is targeting to plant 55 000 ha in respect of grain production that is estimated to yield 193 tons. 158 smallholder farmers and 5 603 clustered grain producers are creating 1100 jobs. This would be achieved through partnership with Grain SA, GFADA, SAB, Wiphold, Masisizane Fund, and Anglo American. The department would be establishing a 35-ha new citrus orchard area and would provide support for maintenance of 532 ha of a recently established orchard in the 2-year pre-first harvest period. A total of 272 Black farmers would be benefitting and 79 new jobs would be created. This would be implemented in partnership with the Grower Development Company of the Citrus Growers Association. Three new entrants would be supported in the Amathole with infrastructure and two farms in Sarah Baartman would be supported for EIAs. With regard to deciduous production, the expansion in Langkloof is projected over 5 years on account of it involving some upgrading of existing orchards while the green-fields expansion at Gubenxa is projected over 7 years. Support would be provided to 157 farmers to upgrade 51 ha of orchards, to increase orchards from 95 ha to 102 ha in Langkloof to benefit 574 farmers and create 422 job opportunities in the process.60 ha are targeted for chicory planting and this would benefit 25 farmers. 25 000 households would be supported with agricultural input in order to address food insecurity. The MEC reported that farmers have shown interest in the drought tolerant maize seed. 12 farmers at Amathole district used the seed during the cropping season. In February 2017, the province hosted and participated in a multi-national WEMA annual workshop. Demonstration trials and information days are conducted to accommodate for environmental variabilities of the province because a cultivar doing well in one district might not do well in another. On the commercialisation programme, the department is targeting 14 farmers for grain, 10 for citrus production, 4 for deciduous production, 2 for pineapple production, and 20 for livestock. The department has initiated a partnership with the Nguni Trust and IDC to support communal and smallholder farmers with genetic improvement scheme. During the period under review, a total of 26 bulls and 118 heifers were distributed to 12 communal areas to improve genetic material. The province produced 14.18 million kg of wool of which .3.58 million comes from the communal sector. Currently, communal farmers generate R130m annually from wool sales and the DRDAR has supported farmers with shearing sheds and training which is supported by NWGA. During the 2017/18 financial year, 20 officials were recruited in the Directorate of Extension and Advisory Services. The diverse disciplines of these recruited officials are informed by priority areas of the Agricultural Transformation Strategy which includes livestock production and horticultural crops. 19 CCS veterinarians were recruited to service the eastern part of the province. A total of 1 847 ha of land has been rehabilitated in the province through projects of DRDAR involving soil conservation measures and eradication of alien invasive species. 4 outbreaks of avian influenza around the Sarah Baartman district have been put under control. 822 739 cattle were vaccinated against anthrax and 1 207 million sheep were treated twice with ivermectin injectable remedy in order to improve the quality of wool and control sheep scab in poorly resourced farms. Dr T Masiteng, General Manager: Free State DARD, stated that the province, with more than 30 000 farms, produces over 70% of the country's grain. Field crops yield almost two-thirds of the gross agricultural income of the province. When it comes to AgriParks nothing is happening inside the sites, but the department is supporting projects that would grow AgriParks. The department has supported 185 institutions with agricultural initiatives by the end of December 2017. It has ploughed and planted 2168, 78 hectares of land by the end of December 2017. Maize and vegetables are the largest commodities. 44% of the total commercial maize in SA is produced in Free State. The department has delivered 262 livestock that includes 227 cattle and 29 pigs. The department has set aside R5 million for the 2018/19 financial year from ILIMA/LETSEMA grant and R6m from equitable share for mechanisation to ensure tractors are ready during the planting season. 57 tractors are readily available from the Mechanisation Cooperatives. The department is also exploring different cultivars on trials, particularly water efficient maize varieties, WEMA. The department is planning to commercialise 50 Black farmers per annum over the next five financial years, starting from 2017/18 financial year. This would translate to about 250 Black commercial producers commercialised by the end of 2021/22 financial year. At the end of December 2017, 11 Black farmers were supported under Fetsa-Tlala. The support was on the ploughing and planting 2168, 78 hectares to maximise food production. In compliance with the principles of conservation and the Agricultural Resources Act of 1983, the department has protected/rehabilitated 6721 hectares to improve agricultural production by eradicating invader species such as slangbos and satansbos, as well as the construction of water ways and contours to control erosions.11 CCS veterinarians were recruited during the 2017/18 financial year. This has contributed to service delivery in communities that previously had no access to the needed veterinary services. Through retention of some of these veterinarians, 9 permanent posts for state veterinarians have been successfully filled. The province continues to strengthen disease surveillance, disease prevention and disease control programmes and interventions. In the last two financial years, Free Sate DARD's veterinary services directorate successfully contained two major disease outbreaks of African Swine Fever and avian influenza. Two additional animal health officials were successfully recruited to fill the vacant animal health technician posts and two assistant directors for administrative control were appointed to vacant posts. Challenges were around the impact of drought and the growing water crisis in SA; decrease in grant fund allocation; availability of working capital; lack of mechanisation that is proving to be in demand by poor farmers; and lack of resources to maintain the status of the Free State as being the "Bread Basket" of SA. Mr Ntokozo Gumede, Deputy Director for Projects: KZN DARD, stated their approach to agriculture is to promote the fuller use of land within communal areas and land reform farming areas, especially via conservation agriculture / climate smart agriculture and land redistribution; strengthen the capacity of the smallholder farmers to participate effectively in the agricultural value chain and promote food and nutrition security; and to strengthen the smaller stratum of large-scale commercial farms which account for a disproportionate share of farm jobs. 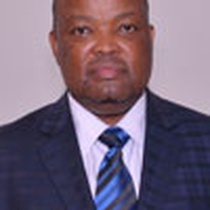 Regarding agro-processing, he reported there are currently 32 registered beef abattoirs, 24 poultry abattoirs, 8 sugar mills, 26 grain mills, 10 silos, 11 feedlots, 22 animal feed manufacturers, and 2 fresh produce markets in KZN, including COGTA Infrastructure Developments. Concerning the development of drought tolerant maize hybrid, he said the WEMA conventional hybrid was selected for yield and drought tolerance. It is, therefore, more susceptible to stalk bore and FAW. During this summer period, this WEMA BT hybrid is being planted in six sites of KZN. The plot size is one hectare in each site. The yield of WEMA hybrid is highly comparable to the current commercial maize hybrids. However, the price for WEMA is less than the commercial hybrid. The technology transfer in the form of Farmers’ Day is planned to take place at the maturity of the maize around April/May since the maize is at the flowering stage now. On the extension programme and recruitment of veterinarians, the department reported it has 235 vacancies. It is developing a multi-disciplinary training curriculum for extension practitioners to ensure continuous professional development through systematic maintenance, improvement and broadening of knowledge and skills, and development of personal qualities of extension practitioners. The department is designing and implementing respective provincial strategies for extension and advisory services. There are 8 vacant positions in the veterinary service and 11 veterinarians in the CCS programme. There is cooperation between the units of veterinary facilities. For instance, if at the abattoir a disease is picked up by the Veterinary Public Health, samples are then taken in order to identify the insulting organism and effective drug treatment is suggested. Canine rabies tops the list of animal diseases plaguing the province and continued vaccination and extension are conducted. More demand for dipping has been received by various offices. The department has made available R20m to purchase vaccines and chemicals. The funds would also be spent on de-worming and extension material. A sum of R53 085 000.00 is budgeted for animal disease control. Through the rehabilitation of agricultural land process, 1054 work opportunities were created (541: women, 497: youth, and 12 people with disability). The work opportunities were created for the control of alien plant species. This is both manual and chemical control and construction of fencing. Project beneficiaries are skilled to implement the project. KZN DARD has responded to the directive of the National Department which states that 50 farmers in the province should be commercialised. The department would continue supporting Black commercial farmers during 2018/19. The demand for funding support for farmers in the province far exceeds the department allocation. The department is engaging strategic partners in the government, industry and related industries to form partnerships to attend to farmers’ needs. Ms Joyene Isaacs, HOD: Western Cape Department of Agriculture, informed the Committee her department’s food security intervention includes the establishment of a Food Security Commodity Project Allocation Committee (CPAC). Priority is given to women, youth, and people with disability. The department has designed a suitcase programme to assist vulnerable households. Applicants must have access land (backyard) in order to realise the smart garden concept. Priority is given to persons on the indigent registers. Applicants are required to undergo training before support is given in terms of entrepreneurial skills, production, and financial record keeping. 3 869 Black farmers were assisted with drought relief support in the affected areas. 827 farmers were supported during the 2015/16 period. R23m equitable funds in savings in 2015/16 were allocated to support farmers in 2016/17. identified farmers. Completed whole farm planning for the affected farmers with skills audit helps with skills development interventions. Through the Enterprise Resource Planning (ERP), the department has increased its capacity to 68 agricultural advisors – an improvement though the DAFF study indicated the Western Cape needed 119 extension officers to meet the demand. The Department had partnered with commercial agriculture, through the commodity approach, which also provides extension support to farmers in order to augment limited resources. All agricultural advisors are compliant with the national norms and standards, i.e. they all have a minimum 4-year B. Degree in Agriculture. The Department had institutionalised monthly block sessions with agricultural advisors to enhance capacity of the advisors. All agricultural advisors use the digital pen technology when conducting site visits to farmers. This is aimed at enhancing monitoring of advice rendered to farmers. Twelve of the department’s agricultural advisors are linked to commodity organisations for skills development to enhance specialisation of extension personnel. 72 tractors were received from DAFF during the 2013/14 financial year. These are linked to mechanisation centres within communities and are managed by farmers. Monthly reports on utilisation of mechanisation are submitted to the Department for monitoring. Tractors still remain the property of the Department and managed through its Agency, Casidra. The department has installed a tracking system which is a monitoring tool for these tractors. Mechanisation support is also provided to farmers on an individual basis. This is based on the needs analysis. A total of 3 459 ha had been rehabilitated by the end of December 2017. An area wide initiative in the Central Karoo is targeted which involves 500 000ha. So far 80 000ha have been completed. Future plans, inclusive of auditing of the condition of agricultural land and resources in the province, are linked to the Conservation of Agricultural Resources Act 43/1983. The Western Cape is a winter rainfall region and farmers had already started preparing their land for the 2018 planting season in the Overberg region. Ms Issacs concluded by saying innovation is the basic ingredient to ensure service delivery. Even immediate challenges such as the drought have a silver lining. Restrictions on the availability of irrigation water have forced farmers to introduce water-saving technologies. Another strategy followed by farmers was to move their replacement strategy forward by a number of years (replacing old or less profitable vineyards/orchards) in order to have water available to carry their more profitable crops through the drought. The result would be that the Western Cape’s crop would eventually be much more water-efficient and responsive to market demand (those cultivars with the least market demand would be less profitable and the first to be replaced). Mr Mpho Tlhape, Deputy Director: Gauteng DARD, reported that his department has a comprehensive support programme implemented towards achieving the objectives of alleviating hunger in the province through the Fetsa Tlala programme. The Department has in this particular regard assisted farmers with Maize production inputs packages. The packages provided include seeds, fertilisers, herbicides and pesticides. A total of 73 farmers were assisted with 1 055 maize seeds of 25kg each. In addition, the farmers were assisted with 5 333 bags of fertilisers and 100 litres of pesticides as well as 154 litres of herbicides. The department has undertaken further initiatives aimed at assisting communities in the townships and informal settlements with urban agriculture as a mechanism of addressing food insecurity in these areas. The department has supported farmers with the establishment of community gardens, homestead backyard gardens and school food gardens. The Department has a programme aimed at supporting farmers with mechanisation to enable them to increase their productive capacity. It has rolled out the support programme directly to farmer co-operatives as well as through collaboration with municipalities. The department furthermore has limited stock of tractors that it administers directly to farmers. 38 tractors were utilised to assist farmers through the five provincial municipalities. The tractors were operational and in good working condition and six of these tractors had to undergo major service. There are challenges associated with the administration of tractors and this makes it difficult to report usage and supply proof. The usage and collection of such information is based on the departmental follow-ups. Of the 39 tractors allocated to the 33 Gauteng co-operatives, 5 tractors are broken and the cooperatives are struggling to fix them. The rest of the tractors are functional and in good working condition. Out of the 10 tractors that are in GDARD’s custody, 7 tractors are operational and in good working condition and the other 3 tractors have gone for repairs. On 3 October 2016, DAFF issued draft commercialisation selection criteria and invited provinces to make inputs. During 2016/17, the Gauteng DARD developed a Draft Commercialisation Strategy in consultation with key stakeholders in the province. The strategy focuses on the following commodities: livestock; horticulture; grains; and aquaculture. The Draft Strategy would be published for comment after which it would be submitted to the Executive Committee for adoption. It must be noted that to date the financing model for commercialisation has not been finalised. GDARD is participating in a process with DAFF on the investigation and evaluation of a blended financial model which encompasses the provision of a comprehensive financing package that involves mix of a grant and loan, with the objective of stretching the finance to ensure that it covers all aspects of farm operations required at a commercialisation scale per commodity. As a trial of the effectiveness of the selection criteria, Gauteng DARD has evaluated its database of all smallholder farmers in the province and developed a preliminary list of 50 commercial farmers but this list would be subjected to review of the criteria of the final approved strategy. The roll-out of the Compulsory Community Services (CCS) programme commenced in 2016. Gauteng received the first cohort of 26 veterinary graduates in 2016; 18 in 2017; and 14 in 2018. Gauteng has gone further to employ 10 veterinarians on contract and they have been in the establishment since 2015. They serve as mentors for the CCS veterinarians and also help to ensure continuity of community services year-on-year since the CCS veterinarians are only employed over a period of 12 months. Since its inception, the Primary Animal Health programme has been able to establish a number of mobile animal clinics across the province of Gauteng. These have enabled GDARD to expand its reach and improve access to veterinary services by poorer communities and small-scale farmers. Gauteng province experienced its first outbreak of Highly Pathogenic Avian Influenza (H5N8) during this 2018/19 financial year. Two-layer farms and one broiler breeder farm were affected. These were depopulated and the process of cleaning and disinfecting took place according to the proposed protocol. The sites are currently preparing for restock in order to resume production. There is on-going awareness on improving biosecurity measures at farm level. To date 1 475.5 ha of land has been protected/ rehabilitated through the removal of alien invasive and bush encroaching plant species in various Gauteng districts and metros. The most common alien species include the Bluegum trees, Wattle and Lantana Camera whilst the Bush encroaching species is the Slangbos. Conventional farming methods also have a potential of damaging land resources. To mitigate against this, the Conservation Agricultural (CA) methods are used. CA focuses on 3 principles: No till (minimum soil disturbance); Permanent Soil Cover and Crop Rotation. A 15ha plot in Ennerdale was converted from conventional to CA farming practices. Mr Tim Odendaal, Soygro Director, said Soygro produces biological products for agricultural purposes, not chemicals. Soygro produces fresh inoculants. Imported inoculants are old and carry poor performance. Imported soybean Rhizobium strains contaminate South African soils with inferior inoculants races. It reduces yield which approved by Act 36 of 1947. Adapted and tested soybean inoculants strain WB 74 maintain optimum yield and soil fertility. Act 36 of 1947 limits new biological developments and limits the growth of local biological businesses as well as job creation. The proposed requirements of Act 36 of 1947 such as reputable laboratories, toxicological data, efficacy trials, residue analysis, blends, etc would stop business as usual for a company such as Soygro in its tracks in terms of cost and time. For Soygro to comply with 57 products would be a financial disaster. Soygro takes at least 5 years to develop and test a new product. Local research and institutions are focused on chemicals. Knowledge and experience on the broad field of micro biological inoculants in South Africa is very limited and mostly unavailable. Soygro has the expertise since 1988. Microbiological inoculants for minor crops such as clover, chickpea, and Sainfoin would not be served as registrations cannot be done at all. Mr N Paulsen (EFF) said the EFF has great respect for Stats SA, but the sad thing is that there is no history on commercial land to see the shift from the status quo. He asked why farming units have decreased from 45 000 t0 39 000 and wanted to know if these farms have been incorporated into other farms. He also asked about the average ownership of the market value of assets which are high in the Western Cape. Mr Magwaba responded that the reduction of farming units has to do with the land registration in the country. The high market value of assets in the Western Cape could be the result of the size of the land and what is being farmed e.g. grapes. Stats SA would not be able to provide an answer on the ownership of land. The Chairperson told Mr Paulsen there is an audit report on land ownership that has been given to the Department of Rural Development and Land Reform (DRDLR). Mr M Filtane (UDM) asked what the farm ownership pattern is in terms of race, and who produces more food between Blacks and Whites. He further asked about constraining factors seeing that the Eastern Cape is doing well on livestock farming; and who is producing more food for sale. Mr Magwaba stated they have not been successful in trying to get information from the surveys on all the questions that have been asked. If there is no land and farmer register, it would be difficult to provide answers. The duty of Stats SA is to provide statistical figures. Mr N Capa (ANC) asked if the high involvement of women in agriculture in the Eastern Cape could be attributed to migration because men are working in urban areas. Mr Magwaba stated that migration could be a possibility though they do not have information on that. Ms A Steyn (DA) asked how much it would cost to produce a farmer register. It is important to get funds for the agriculture survey, including the costs that are going to be incurred so that the sector does not work with outdated information. She reminded the Committee that sometimes access to land, as it happens mostly in rural areas, does not always give you food security because most people in rural areas are poverty stricken. Ms Nthabiseng Makhatha, Acting SG: Stats SA, explained it would be difficult for Stats SA to come up with a full farmer register because the entity is not allowed to divulge information it has gathered on the individuals but only at aggregated level, but would only support the Department in coming up with the farmer register. Mr Magwaba added that funding for the agriculture survey is being discussed with DAFF and that they would not be able to know the costs because they would involve commercial agriculture, households, etc, and it must be remembered there is no farmer and land register at the moment. There is an MOU regarding funding for the survey between DAFF and Stats SA though it has not been actualised. Mr P Maloyi (ANC) asked why the Census of Commercial Agriculture has decreased to a 5-year interval whereas in the past it was conducted yearly. He remarked that the last Census of Commercial Agriculture was conducted in 2002 and 2007. This means the information presented to the Committee is outdated and is not assisting Parliament in terms of what is happening in agriculture today. He also wanted to know what the status is regarding the 2017 discussion that Stats SA held with DAFF on conducting a census. Mr Magwaba, on the 5-year decrease in survey, stated it could be that agriculture was important at some stage and then later lost its shine. The results of the last general household survey done in 2017 would be published during 2018. Ms Makhatha indicated the challenge lies in the instruments used to get the information. What has been presented to the Committee is information from 3 different surveys. The challenge is that no farmer register exists. The information presented is limited from what Stats SA gets from SARS, especially for commercial agriculture. Currently, Stats SA and DAFF are discussing the idea of a farmer register. For the agriculture survey information, they piggyback on the annual general food surveys, municipal estimates and census. But census has its own limitations. Stats SA would love to have all the answers for the questions from Members, but it would take time to come up with the answers. Mr R Ramasodi, Acting Director-General: DAFF, informed the Committee there is a R241m allocation for agriculture census over the MTEF. No money has been spent on this yet because they are still in discussions with Stats SA for it indicated the agriculture census could not be done without a farmer register. The Department then indicated it was busy with a farmer register in North West and KZN and it has developed a template, but it did not have credible statistics in order to do the work. The Chairperson pointed out the information from Stats SA must not be seen as useless, but that says a lot about Members because it is they who pass budgets every year. It is something that as Members they should have looked at when considering and passing budgets. Mr H Kruger (DA) wanted to establish if people who are involved in cooperatives are part of the household surveys because 90% of the cooperatives are in agriculture and a lot of money is spent on cooperatives. He also indicated there are no figures and information on small fisheries and forestry. Mr Magwaba replied that Stats SA does not look at cooperatives. Household or businesses could be part of a cooperative. He also stated there is no register of farmers regarding aquaculture. Ms Makhatha added that for household surveys they piggyback on surveys that come from Stats SA. Many departments ask Stats SA to do surveys, but for those surveys to be successful it depends on the collaboration between Stats SA and the department concerned. It is difficult to provide answers on households involved in agriculture. It is mostly speculation. The Chairperson commented the information given to the Committee is needed so that it knows what is happening in the sector. The Department has misled parliament by saying there is a farmer register but Stats SA indicated there is none. Mr Joe Kgobokoe, Deputy Director-General for Policy, Planning and Monitoring and Evaluation: DAFF, explained that DAFF started in two provinces with the farmer register project. The Department was using extension officers to gather data, but it was later realised the extension officers have their own duties in their respective provinces. DAFF also realised it did not have money to fund the project. Mr Maloyi pointed out the MOU between Stats SA and DAFF should be signed urgently so that the Committee has credible and updated information. DAFF has to cooperate with Stats SA. All the presidents of SA in their SONAs have spoken about the importance of agriculture. The Minister of Agriculture, Forestry and Fisheries, Mr Senzeni Zokwana, explained that DAFF has done what it is supposed to do on the MOU and is waiting for Stats SA to comment in order to see if it meets its terms of business. Mr Paulsen wanted to know the long-term impact of inoculants on soil quality and food to be consumed by humans and animals. Mr Odendaal indicated they use biological fertilisers over a five-year period and that is good for soil quality. What is on top of the soil, is what is underneath it. They work naturally when it comes to food safety. They increase resistance and do not disinfect the whole sheep or chicken. Mr Maloyi wanted to know if Soygro has got a relationship with the ARC and DAFF because it appears it is working alone. Mr Odendaal said the ARC scientists are chemically oriented. Soygro has communicated with DAFF and has not responded to their requests. He said it appears that DAFF does not want to communicate with them. The Minister stated he hoped DAFF has met Soygro and informed it of compliance issues. As the Minister he might not be at liberty to engage with Soygro. It is the duty of the Department to ensure there is a better way of going forward, but Soygro has to register first with the DAFF as a service provider. He, however, warned Soygro to be single-minded when it is conducting its business: it must market and sell its products and not be abrasive to another party or entity. The Chairperson urged Soygro to engage with the ARC to ensure everything is tested before making any pronouncements. Mr Filtane remarked the presentation did not give an indication about the socio-economic impact of the government expenditure. It is not indicated how many people are going to get food as a result of the interventions. He also wanted to know the number of people who are participating in the secondary (manufacturing) and tertiary (retail) levels of agriculture. Lastly, he said there is not a single line in the presentation about drought and risk factors in place and mitigating steps in order to end poverty. Dr Mokaila, regarding the socio-economic impact and hunger reduction, said this is something they would learn how to package in their next presentation. The department has not been able to quantify the issue. The department would do an analysis in the sector and compile a farmer registration. On secondary and tertiary production, they are looking at various commodities in the province like the establishment of abattoirs and milling plants. No analysis has been done yet on agro-processing. When it comes to risk factors, it is covered in their business plans, but for the document presented to the Committee they have been guided by the National Department on what to prepare. Hence there has been no mention of risk factors. Mr Paulsen wanted clarity on the wild animals being sold to friends of the premier, Supra Mahumapelo. Dr Mokaila stated the answers were provided to the Portfolio Committee on Environment. What is sometimes stated in the media is not true or factually correct. Ms Steyn, first, asked how the identification of the commercial farmers was done. Second, she wanted to know if the 18 contract agricultural advisors are part of the department and what their role is. Third, she wanted clarity on the kind of training AgriDelight was providing to farmers because it appears the service provider was doing the work of the department. Dr Mokaila reported the commercial farmers were identified on the basis of an annual turnover which is close to R4m and R5m. They were seen as being serious. Those with potential have also been considered. They are 50 in total. The 18 agricultural advisors are there to reduce the vacancy rate and are not full-time. Then the training provided by AgriDelight is on infrastructure development and farmers were trained on various commodities like finance management, conflict management, etc. Mr Capa asked if the unused or preserved seed is going to be used in the next season; and wanted to establish if there is any quality work AgriDelight produced for the department. Dr Mokaila said he did not have a definite technical answer on unused seed. Even if the seeds were to expire, the department would make sure the seeds are given to the farmers, or a plan would be worked out with farmers. He said AgriDelight achieved a lot on infrastructure development even though there have been challenges with their contract, just like any other service provider for that matter. Mr Maloyi asked for clarity on the 2 months contract given to graduates. He further remarked that AgriDelight has been given money to help farmers with seed and tractors, but farmers have not been benefitting from that help. One poor Black farmer was given 50 cattle which were later taken back and kept at AgriDelight farm. Those cattle should have been given to another deserving farmer if the first farmer was not the right beneficiary. AgriDelight is creating problems for beneficiaries in agriculture yet it is given money to do work on behalf of the department. There is allegedly a farmer who was awarded a business or project, but 50% went to AgriDelight. Dr Mokaila, with regard to the 2 months contract graduates, said appointments would be included in the new financial year and form part of the APPs. The graduates are not employed for only two months. The Chairperson said the graduates need to be shepherded to become commercial farmers and produce food. The programme needs to be speeded up. Mr Derrick Montshwe, AgriDelight Director, elaborated that AgriDelight works according to an order. It provides training and reports on work done that has been briefed by the department. Up until now, AgriDelight has performed according to the mandate. The department has records of the work AgriDelight has done, including the details about the tractors. He further indicated AgriDelight does not have a farm and is not even a shareholder in the farm that was bought for R45m. The farm manufactures feed, and quotations from the supplier go through AgriDelight before they are submitted to the department. Ownership details of the farm would be forwarded to the Committee and AgriDelight has no shares in that farm. AgriDelight has no knowledge of a 50% taken from a lady farmer. On the issue of cattle, the ultimate delivery point of cattle comes from the department and AgriDelight carries out the mandate. The cattle were taken on the instructions of the department and re-directed to another beneficiary. He noted that during the execution of its duties, extra costs were incurred and that increased expenditure, but AgriDelight is busy engaging with the department on this matter. Dr Mokaila added that the issue of extra costs incurred is being dealt with in the department, internally. He further indicated the farmer who got awarded a project would be funded during the 2018/19 financial year. The money would also be used to expand the area planted. The farmer was helped with a tractor something which the farmer wanted urgently. Ms Steyn proposed the Committee be given a full report on the AgriDelight matter, from the side of the beneficiaries and department as well. The department cannot say it did not know anything while things were happening under its nose. The Chairperson wanted to establish how far the department is with regard to AgriParks because during the oversight visit the MEC indicated there was no allocation for AgriParks and the President during the SONA spoke about AgriParks. She also asked how many assisted farmers are from the PLAAS and RECAP programmes. Dr Mokaila indicated they do not have precise figures on assisted beneficiaries linked to PLAAS and RECAP programmes. Ms Manketsi Tlhape, MEC for Rural, Environment and Agricultural Development Department, regarding AgriParks, informed the Committee a certain percentage of the department’s funds goes to a milling plant. Every year a budget is set aside for AgriParks. In some of the AgriParks what still needs to be done is on EIAs. She indicated further that the interaction with the Committee is an eye-opener and information would be sent to the Committee in writing on things the department could not provide specifics on. From the presentation done by Stats SA, it became clear that North West comes third on food security. In all townships there have been interventions on food security. It remains a challenge to increase food security at the level of households. Pertaining to risk to reduce poverty, the province held a drought dialogue. The sector agreed to set up a fodder bank and to bring back AgriBank in the form of North West AgriFund to assist distressed farmers. New entrants are allowed to participate through this initiative. Projects for infrastructure development are geared towards agro-processing. Before any project is approved, it has been agreed that a certain percentage goes to the designated groups. They do not want to be a province that relies only on grants. They need to be innovative and avoid the repetition of funding the same beneficiaries every year. Mr Filtane wanted to know if the department has done a survey on patients that have been hospitalised in order to see that when they come back, they have a decreased nutrition deficiency seeing that the department is a “Bread Basket” and that food security is about nutrition. He further asked what the impact has been on the 11 farmers that are being commercialised; and wanted to find out when the AgriParks would start to be operational. Dr Masiteng indicated the provincial department of health helps them in the balancing of diet. Through the school feeding programme, they get feedback from the education department. The departments of Health and Education participate in their programmes. The programme is now mushrooming and more households are participating. Concerning the commercial farmers, they started with livestock: stud breeders. They pitched it at a higher level. There are two farmers who have graduated and one of them is a goat farmer. Stud breeding produced quick results. The department is happy with the livestock results. About AgriParks, he said there is a challenge and this initiative is from DRDLR. The plans are there, but the implementation and funding are the responsibilities of DRDLR. Mr Capa asked who was given the livestock and if the number is sufficient; and how many cooperatives are benefiting from the R5m mechanisation programme. He asked if the department has farmers who intend not to be commercialised. Dr Masiteng sated there is a delivery of livestock that is going to take place and it would cover a number of farmers. The department would be observing where this is going to take the farmers to. 5 cooperatives are benefitting from the mechanisation programme and they are spread in 5 districts. Some of the cooperatives have managed to buy themselves tractors from the available 72 tractors. There is a support structure that is in line with categorisation for those who are in subsistence, production and commercial level irrespective of whether the farmers want to be commercialised or not. Mr Kruger asked why the department is using implementing agencies. Dr Masiteng indicated they have a relationship with AgriSETA. The relationships are being managed properly. Mr Madella indicated he is pleased with the profile of the beneficiaries because it includes people with disabilities, and he wanted to know if the people with disabilities are able to do things for themselves. Dr Masiteng indicated there are centres they deal with that engage with people with disabilities. The programme is being run by a person with a disability. The Chairperson asked why conditional grants are used to fund implementing agencies. The Minister said they could explain how it happens. There are processes that are followed when appointing implementing agents. The Department would need to develop a full report on how the process works. Mr Kruger added the Committee needs a report about what the implementing agencies do and how much they charge. He proposed that all provincial departments should submit these reports on implementing agencies. Mr Filtane added the National Department should include its policy on use of consultants in its report to see if the provincial departments are complying with the policy. The Chairperson remarked it is wrong for provincial departments to apply for money and when the money is allocated, they indicate they do not have the capacity to deliver. The National Department should explain to the Committee why this is always the case. Mr Van Dalen wanted to establish what is being planted on 17 hectares of land by one commercial farmer and asked what the profile is of the 158 smallholder farmers and 5603 clustered grain producers that create 1100 jobs. Mr Lumkile Ngada, Head of Department: EC DARD, replied that this one commercial farmer is practicing mixed farming in the Amathole Region. Then the profile does not refer to the farmers, but only to hectares under production. Mr Capa remarked he would be disappointed to learn in future that the partners that come to the department are there to get a share. He asked for clarity on why there is 0% planting of deciduous fruit in the Alfred Nzo district yet along the N2 people sell deciduous fruit. He also asked for clarity regarding assistance to Wool Growers because farmers are complaining about transport costs which makes them to make less profit. Mr Ngada stated the partnerships are from non-profit making organisations. When the partner approaches the department, the partner has to put something on the table and the department puts something as well. In the past, the partners used to come to manage the department’s budget, but now if they have nothing, they are allowed to leave. 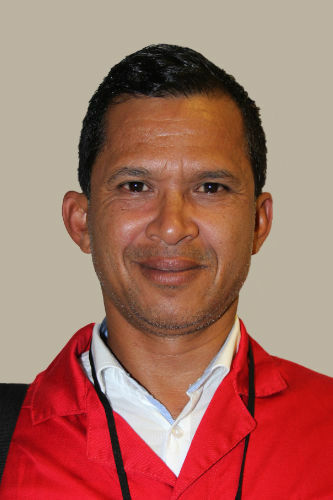 Regarding deciduous fruit in the Mt Ayliff area, he elaborated that the resources they had had been channelled to Gubenxa in order to create many jobs. Unfortunately, they had to balance the possibility of getting more jobs. Sometimes if the department sees that rain is going to be scarce in a specific area during a specific time, it puts a hold on planting in some targeted areas. On assistance to Wool Growers, he stated the department is trying to take a different approach so that the wool reaches its final destination as soon as possible. There are many risks already on wool projects: theft and piracy. The MEC added they are trying to formulate better ways of doing things to see if the wool could be washed or cleaned in Umtata before it is taken to Port Elizabeth, the west side of the province. Mr Filtane, first, wanted to establish what the department is doing to ensure beneficiaries reap rewards from the partnerships because most of the time the benefits go to the partners like Wiphold and he commended the department for opting for partnerships instead of consultants. Second, he wanted to find out if the department is working with the local municipalities to drive local economic development. Third, he asked to what extent the department taps into the 5 big rivers running through the OR Tambo region. Fourth, he wanted to know if the department is able to produce enough to stop importation of food to the Eastern Cape. Mr Ngada explained that when innovation comes to communities, not all communities benefit from it. In many cases, community members adopt a wait and see approach. Then those who show interest from the beginning become economically better than the rest that was reluctant at first. The MEC added that sometimes communities are vulnerable to exploitation by partnerships. The department needs to tighten screws on contracts, look at value chain, job creation, and then consider profit sharing. Mr Ngada, on engagements with local municipalities, stated the department has 6 districts headed by district directors. Then the district coordinators are managers that work closely with local government and are part and parcel if the IGR. The municipalities then have a chance of working closely with them, but not all is smooth and well. About local commodities, he reported their strategy is to improve productivity. Previously, production and marketing were not a priority with farmers. But the new strategy is that the Departments of Health, Education and Social Development are going to procure from local producers. That is what the strategy is all about. With regard to the rivers, they have rivers that flow down to the sea. The river programme is part of the Comprehensive Agricultural Support Programme (CASP) where they speak of irrigation and making use of the water for agriculture and communities. At this stage the department can create dams to harness that water, but that is the responsibility of the Department of Water and Sanitation. The MEC also indicated that a feasibility study was done for the Umzimvubu River. The main stumbling block was the financial muscle to drive the initiative. Plans were approved and China visited the area with a business interest in mind. The Chairperson asked the department to furnish the Committee with the demographics of the beneficiaries and information on AgriParks. She commended the Eastern Cape for raising the bar on livestock farming and planting 46 000 hectares of land, saying it has got the capacity to do more. Mr Filtane asked for clarity for not spending R2,6m which was meant for summer production. He wanted to know if the 30 000 tests conducted in a veterinary laboratory were successful or not. He further wanted to find out if land rehabilitation programme was successful in terms of value for money. 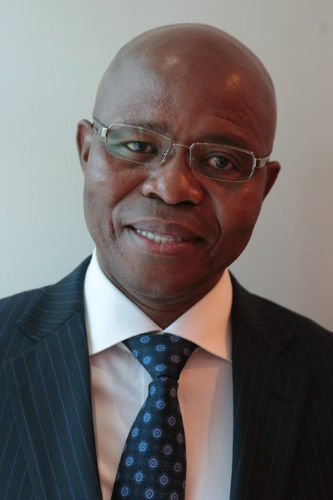 Mr Mothibi stated the under-expenditure (R2.6m) is a result of delays in the procurement of seed and fertilisers which now has taken place, but the acquisition of the farm has not yet been finalised. He also indicated the 30 000 laboratory tests were successful and that it has been their yearly target, but after the registration, there was an increase in the demand for the service. The 30 000 remains their yearly target. Lastly, the intention for land rehabilitation is to put land under production. They have encouraged farmers to practice rotational grazing. As a result, the area for grazing and the number of animals to graze have been increased. Mr Van Dalen wanted to find out what is being done to the communities of Alexander Bay and Richtersveld because there has been no mention on aquaculture and mechanisation programmes. He also asked for clarity on the R20m that was paid twice for fencing the Port Nolloth aquaculture project. Mr Mothibi indicated Richtersveld has benefited from the mechanisation programme, but they need to sort out their internal squabbles first. The community also gets support from the Departments of Tourism and Environmental Affairs, especially on things like aquaculture. He further indicated the department is aware of the Port Nolloth matter and is trying to ensure that such projects do not fail in the future. The project was the responsibility of the Provincial Department of Economic Development, but now the Department of Agriculture Forestry and Fisheries got involved in it. The Committee could ask the Department of Economic Development to produce a report on the issue. 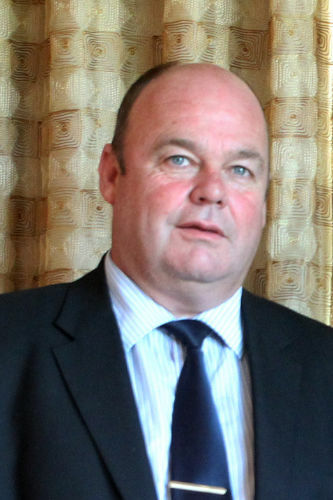 Mr Van Dalen suggested the Committee to be given a full report about the Port Nolloth aquaculture project. The Chairperson asked how much is being spent on the rehabilitation of the Vaalharts Dam and when it is expected to be completed. She asked the department to provide the Committee with information in writing on the breakdown of the 50 farmers it assisted. Mr Mothibi said the Vaalharts is supporting North West with water, especially smallholder producers and commercial farmers. Excessive salts have to be removed from the water. The department has asked the major banks to be on board. The Department of Water and Sanitation has allocated R400m to the Vaalharts project. Mr Ramasodi added that a lot of money went to the Tau irrigation scheme. Everything is being done to maintain the Vaalharts. The Department would forward the Committee documentation on the work done on the Tau and Vaalharts. Mr Kruger asked how far the department is in terms of establishing a small produce market for farmers which was talked about three years ago when the Department of Small Business Development visited the Vhembe district. He also wanted to know if the department has studied the cooperative model of the Department of Small Business Development around agriculture. There is a cooperative in Limpopo that wants to present its business plan to the department, he asked the department to furnish him with its contact details so that the cooperative could contact it. Ms Maisela elaborated they are currently looking at both the production support for the farmer cooperative and establishment of a packing and grading facility. Their contribution is on irrigation infrastructure, production input, and farmer training through the National Treasury Job Fund. The Department of Small Business Development contributed tractors to assist the farmers. The packing facility is funded by the department through CASP. It is progressing well. The packaging facility is expected to be completed in April. Each financial year they target 50 farmers in irrigation infrastructure when it comes to primary production. She further informed the Committee they lend a hand to the provision of seeds and fertilisers. They have a group of young farmers, Agro Dealers, they are considering to support. They mainly operate in the rural areas and some of them are agriculture graduates. They sell fresh produce at their respective villages at a fair price. If the department could support them, they would be able to improve their service to other subsistence farmers. She noted they would like to meet the cooperative that has a business plan and contact details of the department and the name of the relevant person would be sent to the Committee. Mr Capa remarked that the late delivery of seeds and fertilisers is failing the department and beneficiaries. It is a concern that tractors are available for the department yet hectares of land are not cultivated as if tractors are not there. The province has the potential for fruit production though levels of poverty have risen. There is a potential to take advantage of fruits that come from the province for food security. Ms Maisela stated that late deliveries remain a challenge. Service providers indicate the capacity to deliver. The department is making interventions in a form of a service or loan available at Standard Bank, but service providers still are unable to deliver. With regard to mechanisation, lessons would be taken from the Eastern Cape because it has a good model on how to deal with mechanisation. Mr Filtane wanted to know if the targeted land for land reform projects is privately owned or is owned by people in a communal land. He also asked how the department is planning to circumvent challenges like border fencing. He further remarked the presentation makes no mention of socio-economic spin-offs, but only talks of food production for the sake of producing food. It says nothing about beneficiation. Ms Maisela indicated the matter is about land utilisation in the communal land under traditional authorities. The figures do not refer to land owners, but to those with access to land. Border fencing is not the responsibility of the province. Mr Ramasodi added they have taken up the issue of border fencing with the Department of Public Works to deal with it at two levels – international fence and animal disease fence. The international fence is there to protect the country. Mr Maloyi asked why the money reserved for disaster could not be used to fight FAW incidents that have been reported in all the districts. The disaster funding is lying there unused. Only 38% has been used. The department should rather use it instead of running to the transferring officer. He also commended the efforts of the department on commercialisation of Black farmers because it did not identify individuals but rather a group of farmers and, as a result, most people are going to benefit from this project. He asked for clarity on the issue of graduates. Ms Maisela stated they are consulting with the transferring officer because they need the approval so that the department could refocus the funding. Already there is an agreement in place with the transferring officer and procurement has started. The Minister explained that the National Assessment Committee looks at where FAW is happening, not only in Limpopo. Once there is a detection of FAW, it has to be resolved immediately. There is no time to wait for a meeting. It is known there are 40 pesticides that could be used. Provinces can procure but that needs an approval first. Mr Ramasodi stated what Limpopo is saying is correct. There was an agreement of reprioritising funds for FAW. Provinces have to engage with the transferring officer. The FAW is an emergency issue and could be discussed with the transferring officer. It was also discussed that some of the CASP money has to be set aside for emergencies. Ms Maisela, on graduates, indicated they would determine where to host them. It is a two-year programme. They would determine if the commercial farmers have the capacity to host the graduate programme of the department. The Chairperson remarked the department has not spoken about AgriParks and urged it to be concerned about the late delivery of seeds and fertilisers because this is happening for the third time now. She further reminded the department the Committee is still waiting for reports on Mafura-Mafura; an abattoir the department spent money on which has been transferred to the Provincial Department of Economic Development; and the collapse of a cooperative meant for the disabled group. She told the department to come up with modality for funding the farmers and it must include an exit strategy. Ms Maila reported that the Mafura-Mafura farmers have been constrained by the equipment they have to use because it has not been brought yet. Engineers had challenges in terms of the design. The matter would be finalised during the 2018/19 financial year. Furthermore, the department is still grappling with the abattoir affair. An operator has been appointed. Engagements have been around the operating model. Lastly, all outstanding reports would be submitted to the Committee. Mr Kruger asked what programme is in place to capacitate small-scale farmers and cooperatives in agriculture. Ms Isaacs reported they do an audit of all their projects. They have 4 FET training centres. Farmers get trained for 3 or 4 days because they cannot be away for too long. Market readiness is being offered to farmers. Extension officers are trained on trends in the industry. Staff members are also given training on capacity building, internally and externally. 50 graduates have been given experiential training for the past 10 years. Mentors are also given training to train young graduates. Mr Filtane wanted to establish if the department has ever thought of space, shack dwellers could use for food production within the spaces they occupy seeing that the department is talking of innovation. Ms Isaacs indicated there are many ways of doing this and people also need to be creative. For example, people can use old suitcases. It all depends on what is available, and that is why the department is looking at promoting vegetable gardens. Mr Maloyi remarked the department has said nothing about unemployed graduates. Also, he asked for clarity on the implementing agent, Casidra, regarding the work it is doing for the department or if it just manages tractors. Furthermore, he wanted to know how far the department is in the commercialisation of smallholder farmers. Ms Isaacs reported they have a target of 120 for unemployed graduates. A part of the programme looks at mentoring farmworkers' children and to introduce them to the field of agriculture. Some of the graduates form part of this programme as well. Commercialisation was started 3 years ago with a job fund with people who were looking at planting 3 to 5 hectares of fruit trees. There is a monitoring programme in place. Casidra is a 3D public entity of the province. It was set up to help all the departments to implement their projects. Extension officers help farmers to take their farms to the next level. The Chairperson remarked it is important for other provinces to learn about the digital pen and tractor tracking that is done in the Western Cape. She commended the farmers who removed trees that take a lot of water as a step in the right direction in managing drought. She asked the department to comment on its Fetsa Tlala programme seeing that there is no land space in the province even though it is expected to have a different programme for those small communities in the province. Ms Isaacs indicated they are concentrating on wheat grains because it is easy to manage. Another area is that of fruit trees in farms. She said many jobs are going to be shed in the province because of the drought. The Minister indicated the Department needs to have a discussion with the provincial department on how to access the job fund. The advantage of drought is to make sure the dams are cleaned in order to increase the volumes when the rains come. Mr Filtane wanted to find out if the department is in a position to tell the Committee of the impact of its programmes in the lives of the KZN people; and if the department is working with the Ingonyama Trust seeing that 2, 9 hectares of land are under the Trust. Mr Gumede indicated he would not be able to give details as they were guided by the terms of reference from the National Department on what to present. He, however, indicated the department was given tractors by the government to help the farmers. The process is being managed differently. The farmers manage the tractors by themselves. Further, he indicated they work very well with the Trust besides the challenges. The Ingonyama Trust is a volatile situation and the department is not intervening in its work. The Chairperson asked the department to comment on the challenges about an implementing agent in the Makhathini area and of the Jozini Dam issue where Black farmers could not access water except White farmers. She further asked the department to update the Committee on the status of the AgriParks in the province and requested the department to forward the Committee written information on the breakdown of smallholders' gender, youth and disability in order to measure progress. Mr Gumede informed the Committee that Umjindi - implementing agent - has been merged with another entity to ensure efficiencies. A lot of development is happening around the Umjindi area, especially with regard to irrigation. The Jozini Dam remains a contentious issue though the department is trying to make interventions. On AgriParks, the department is working with the DRDLR. Sites have been identified and developed. There is a pilot programme in place which involves farmers. Development agencies collect the produce from the farmers and take it to the government entities where it is needed. It's work in progress. Mr Maloyi commended the department for giving a Soweto farmer one wheelbarrow, one spade, one watering can, a tractor, and for fencing the property last year after the Committee interacted with the department because the farmers were not getting any assistance from the department. He pointed out there are two women farmers in Gauteng who own 50 and 60 hectares of land given to them by the DRDLR. These two women have not yet been assisted by the department. They have asked the National Department to intervene but received letters of eviction instead. When the Committee speaks of commercialisation of farmers, they are not referring to males only, but to farmers irrespective of their sexual orientation. The Gauteng Department of Agriculture is going to be given the names and addresses of those two farmers so that they could be assisted. Mr Tlhape promised the Committee the department would intervene soon by sending extension officers and ensure the two farmers get the much-needed support to drive their business forward. He asked the Committee to furnish them with the details of the two farmers. Mr Filtane wanted to know how the department would go about establishing a community garden in a typical township and area like Hillbrow; and he asked the department to comment on its commercialisation programme because it appears it does not have a strategy and a list of commercial farmers yet. Mr Tlhape indicated in areas like Hillbrow the only mechanism is to use roof tops. As a department they have to work with the provincial Department of Infrastructure because it owns the land. People apply for rezoning and get an allocation from the municipality. Regarding commercialisation, they have 50 farmers that have been targeted. Their plan is to start with 50 farmers before they go big on numbers. The Chairperson asked the department to comment on the shrinking of agricultural land in Ekurhuleni and wanted to know if there is any assistance given to communities like Hammanskraal. She wanted to establish if there is a programme to address food insecurity in Soweto because the influx of people is high there. Mr Tlhape reported they are working with the Department of Human Settlements and SALGA because people get the land and decide to build shacks on it. It is only after erecting shacks that they start of thinking for food production land. There are programmes in place for communities in Hammanskraal. Then in Soweto, there are people with few cows and goats though they are not farmers. They keep these animals for subsistence. More information on the issue would be sent to the Committee in writing.